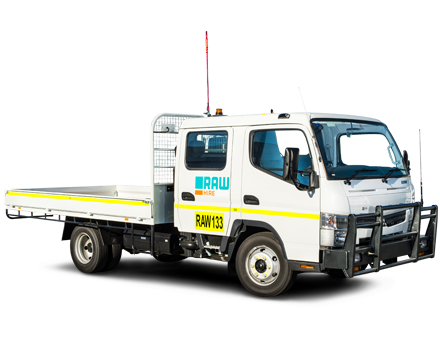 With a number of these small trucks on fleet the options can vary including handrails or droptray, with the same safety and interior comfort of the Raw Hire trucks. 3T trucks are available and are de-rated to drive on C Class licence. Mine fitment is available.